Due to circumstances completely out of my control, tomorrow's signing at the BAM in Sandhills has been canceled. I've been in contact with the manager this afternoon, and the books he ordered for the signing did not arrive, so they have only what was on the shelf--2 copies, apparently. The manager wants to reschedule for an as of yet undetermined date (we'll see) but the pertinent fact is that tomorrow's signing is canceled. I'm so sorry about this guys. If I had any control of the situation, I'd still hold it. First up, tonight (Thursday, October, 28th) I will be in the Knight Agency Chatroom starting at 9pm EST chatting live with readers. I have no idea what I'll talk about for an hour if you guys don't show up and ask questions, so please log in and join in the discussion. I would love to chat with you guys. Also, I'll be giving away 3 signed copies of GRAVE WITCH and there will be several other paranormal books by other writers represented by my agency up for grabs, so please drop by. You can find out how to log in and all the other important details HERE. Pets fill a number of different roles in peoples' lives. For me they are family, so today I lost a family member. 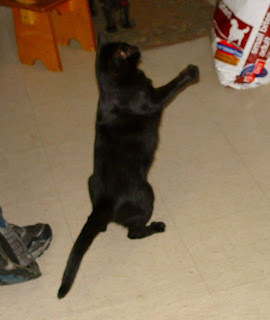 Licorice was 11 1/2 years old and the sweetest guy you could meet. He was a lap kitty and purr box who often had the tip of his tongue peeking out. Monday we made an emergency appointment with the vet because one of his toes suddenly doubled in size. They put him on a steroid, an anti inflamatory drug, and an antibiotic as a first step, but there was a good chance it was cancer and that on the recheck next week we might have to consider amputation. Yesterday he was happy enough. This morning he was having trouble breathing. He died in transit to the vet. At least he died in someone's arms, knowing he was loved. And it was fairly fast, so I don't think he suffered much. I do believe animals have souls and that he is in a better place, but that doesn't dampen the ache of saying goodbye. Here are some pictures of my baby so he is immortalized here on the blog. Q. 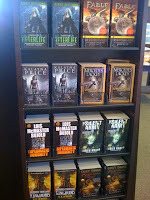 How many books will there be for the Alex Craft series? A. Currently there are three books contracted in the series, but I have ideas that go beyond the third book, so I hope Roc buys more of the series. 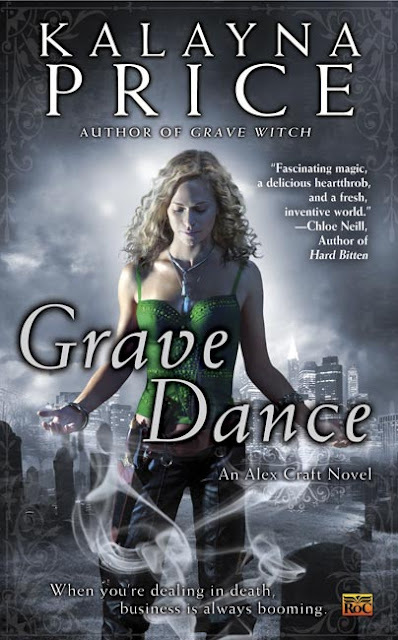 The next book, GRAVE DANCE, will be released late next summer. Q. Falin and Death both seem like fantastic love interests for Alex. I was wondering if you already have it set in mind who she will end up with, if anyone at all? A. I have a definite direction for Alex's love life, but as I'm writing surprises often occur, so nothing is set in stone. After the blog party and my month of blogging near daily, I'm a little unsure of what to talk about on the blog. Soon I'll start blogging on NaNoWriMo--very soon, I guess, as November isn't far off and I plan to invite others to take the challenge with me once again this year. November will likely be mostly craft and encouragement posts, but for the rest of October? I'm not sure (hence the silence the last couple days). So, I thought I'd open the blog to questions. Do you have something you'd love to ask me? It can be about either series I write, about writing in general, about hooping, heck, you can even ask me your homework questions, but I don't promise to know the answers. If you leave questions in the comments of this post, I'll answer them in tomorrow's post. Sound good? 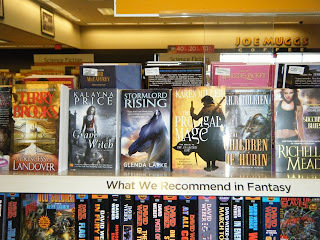 CONTEST: Grave Witch in the wild! A week or so ago I inquired whether you guys would be interested in a photo contest with the prize being a custom made Grave Witch bookmark. The response was enthusiastic, so I went in search of the perfect charms. Considering it is nearly Halloween, I thought now would be the ideal time of year to find charms that would tie-in with Grave Witch. Apparently I was wrong. I scoured every craft store and Halloween shop I could find with absolutely no luck. I nearly gave up the search and considered making the charms myself (because I need yet another hobby and everyone wants me learning to carve soapstone instead of writing, right? yeah, no.) Luckily, in a shop I never would have guessed would carry charms, I found the cute little tombstone and ghost that are now on the bookmarks. October is moving right along which means creepy costumes and sugar highs are just around the corner. Or is that just my plan? Surely not. Halloween is nearly here, and it's a good time for the things that go bump in the night. 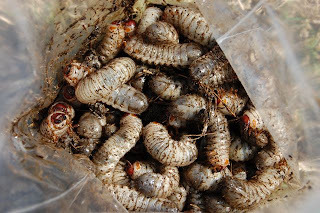 Many creatures which once would have been relegated to horror stories and movies are now featured as heroes and romantic leads, but let's forget them for a moment and talk of the terrifying. When I started thinking about writing this post, my initial title idea was "I think my kitten is a vampire." If you are a fan of my novels of Haven, you probably understand why that would have been rather ironic. That said, I'm still inclined to believe my kitten (okay, she's close to three now, but she's the youngest cat) might be a member of the undead. Events and happenings wrap up and THANK YOU! The last week has been busy but extremely exciting, and I owe most of that to you guys, so I just want to say Thank You to all of you. The release of Grave Witch seems to be going well from my outside view (Of course, I won't know anything definite until I hear from my publisher in several months.) The blog tour stops have seen good traffic, the online chatter has been really positive, and reviews are cropping up! Thank you everyone who has picked up a copy already, and double thank you to everyone who has blogged/tweeted/recommend it to others. You guys are AWESOME! 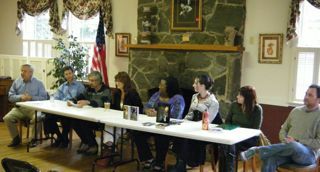 Now, I promised you a wrap up of my first ever book signing. The event on Friday went extremely well (or at least I though it did). I was crazy nervous, which didn't help my already chicken-scratch hand writing or the fact that on good days letters get jumbled in my head and when I'm nervous? Yeah . . . GRAVE WITCH Release Party Tonight! 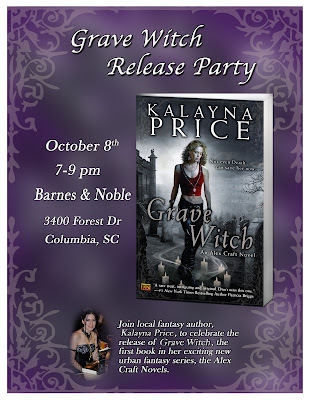 This is just a quick post to remind everyone that the Grave Witch Release Party/Signing is tonight from 7-9 pm at the Barnes and Noble on Forest Drive in Columbia, SC. If you are in the area, I would love to meet you! I just packed my bag of swag and candy, and I'm excited. And a little nervous. I hope to see many of you tonight! And for those of you who can't make it, I'll make sure someone has a camera so I can share all the interesting details. An afternoon post on contests and pictures--Your opinion needed! Several people have sent me pictures of Grave Witch on shelves or even a few of people with a copy, and am absolutely loving seeing the pictures. 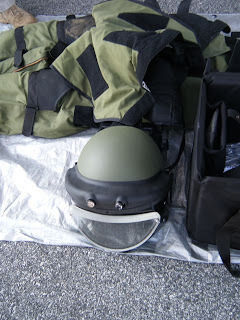 In fact, I think they are so awesome that I'm considering holding a contest so more people send me such pictures. The question with such a contest is what to give away. A signed book really wouldn't work as most people entering will have already bought a copy. I was thinking something special. Something unique. 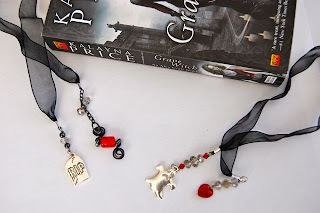 If you've noticed my etsy link in the sidebar, you know that I make hand beaded bookmarks and jewelry, so I was thinking about creating an original, Grave Witch themed bookmark. Would that be something you as readers would be interested in? 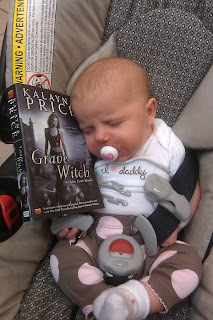 Would it be worth taking a picture of you (or your cat, or your plant, or get creative[but stay "G" rated]) with a copy of Grave Witch to enter a contest to win such a limited edition bookmark? So, it is with great pleasure that I share this amazing guest post with you. Take it away, Nancy! It's finally here: RELEASE DAY! 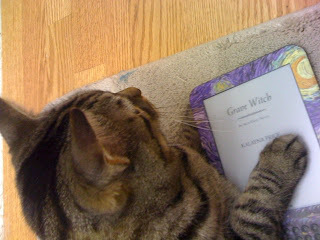 GRAVE WITCH should now be available at all major bookstores and about anywhere books are sold online. Here are some convenient links to online sellers, or check your local brick and mortar store. 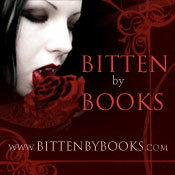 Also, don't forget that I have a Virtual Release Party starting at noon today over at Bitten By Books. I'll be chatting with party goers and even giving out a $50 amazon gift certificate, so don't forget to stop by! On the blog tour front, today's stop is at the blog of my fabulous agent Lucienne Diver. Don't forget to check it out. The Virtual Release Party at Bitten by Books, and the Release Party/Signing in Columbia. In case you missed the blog tour links on the front page of my website, I thought I'd link them again. I'll update this list as posts go live, so check back! Today I am being joined by debut author Rachel Aaron. 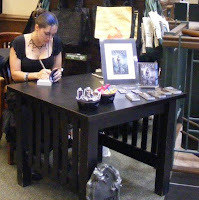 I first met Rachel (and heard about her Eli Monpress series) over at the Magic District blog. 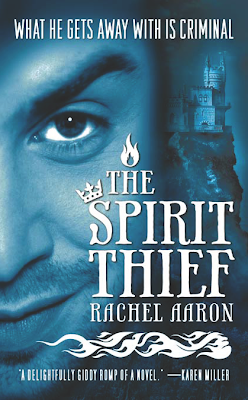 More recently, I had the amazing opportunity chat with Rachel in person for a couple hours at Dragon*con, where as well as having an entertaining conversation, she gave me a 'teaser book' with the first chapter of her debut novel, Spirit Thief. The novel is a humorous fantasy, and you can find that same first chapter HERE. (Go ahead and go check it out, I'll wait.) I dare you to read it and not want to read the rest of the book. Spirit Thief hit shelves Tuesday, and you can bet I already pick up my copy.